Sunny days are few and far between during these long and cold winter months. The mood can be rather un-sunny too, and a few minutes spent watching the news can lead one to become quite depressed with humanity. That all sounds a bit doom and gloom, doesn’t it? 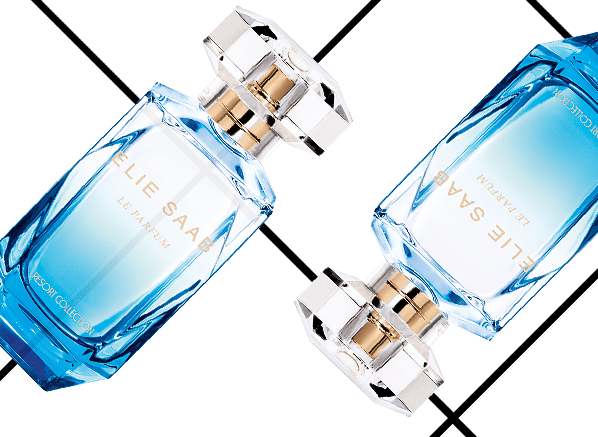 Well, if you’re like me and prone to an odd touch of the winter blues, I have something that may just be the the antidote – it’s called Le Parfum Resort Collection and it comes from none other than couturier Elie Saab and perfumer Francis Kurkdjian. I have reviewed Resort Collection for my Escentual column this week (click here to view) so I’m not going to go into too much detail about the scent itself, although I will say that it is exceptionally put together and quite classy for a beach-y fragrance, but I do want to remark on how refreshingly consistent the Elie Saab line of fragrances is. Starting with Le Parfum in 2011, Elie Saab has launched a number takes on his signature scent’s radiant orange blossom (a fragrance that perfectly matches the glamour of Saab’s designs, BTW), all of which have been far from bland. Sticking with perfumer Francis Kurkdjian, Saab launched and exclusive collections of ‘Essences’ last year. Avoiding territory tread by many designer brands who have launched luxury niche collections, La Collection des Essences (the Rose in particular) showcased four (and soon to be six) fastidiously draped olfactory creations that display familiar notes; oud, gardenia and amber etc. in new guises. Resort Collection is a worthy addition to a carefully curated line. It deserves to do really well and I have a hunch that it’ll live up to the success of the original Le Parfum. Sample via Elie Saab. Image via Escentual. I write for Escentual as their Fragrance Expert. My views are my own. Posted in Elie Saab, Escentual, Perfume Reviews and tagged Beach, Elie Saab, Francis Kurkdjian, Holiday, Le Parfum, Le Parfum Resort Collection, Perfume Review, Resort Collection. Bookmark the permalink.